I run an online Magazine with a few friends and each month we select a theme for the issue with some broad topic as Faith, The Environment, or Politics. The contributor is open to interpret the theme and word however they choose. Often the piece fits easily into the theme and mission of the magazine, but occasionally it tests the limits of that word’s meaning. Although words can clearly have a defined meaning as found in a dictionary, an individual’s reading is influenced by their life experiences. 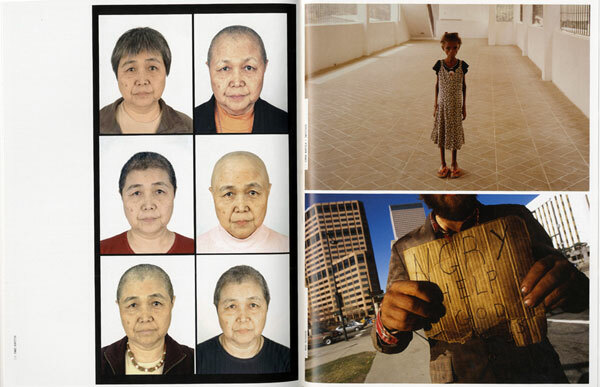 Thus is the case with the theme of James Whitlow Delano’s curated book The Mercy Project. 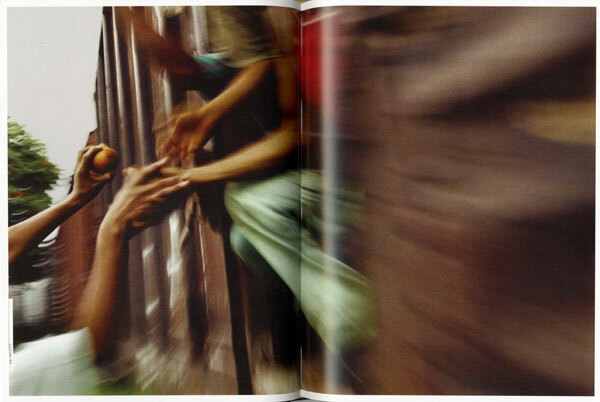 This book contains a collection of photographs from 118 photographers who Delano asked to contribute one piece that made them think of “mercy.” The images range from Stuart Islett’s photograph of a Cambodian woman begging against the deportation of her son from the US (plate 033), to Don Bartletti’s image of migrant workers reaching through the opening of a train heading north from Veracruz, Mexico to grasp the offering of oranges from strangers (plate 032), to Simon Norfolk’s image of a young Liberian girl suffering from AIDS (plate 110), all contributing an image representing their subjective and personal concept of mercy. This word had deep-rooted meaning for Delano. When he first conceived of the book project, he had recently endured the loss of his sister Jeanne to a form of incurable cancer. Delano witnessed his sister’s care in hospice in San Diego, CA and was struck by how she was able to painlessly transition into her passing with the support of her extended family through palliative and hospice care. Delano’s book project is a vehicle to bring awareness to the important role of hospice for families and patients in need and to help raise funds in support of two organizations whose mission it is to provide such care. Although often a difficult task to design an anthology of this sort, the design firm de.Mo was able to create a elegant layout displaying large single images or 2 to 4 images per page spread. Whether the image is printed alone or in the company of similar photos, the text does not distract as the photographer’s name and plate number rests near the outer edge or gutter very much akin to magazine citations. The numbered plates also relate to the captions and artist’s bios, which accompany the hardcover book in a staple-bound leaflet inserted into the back flap. 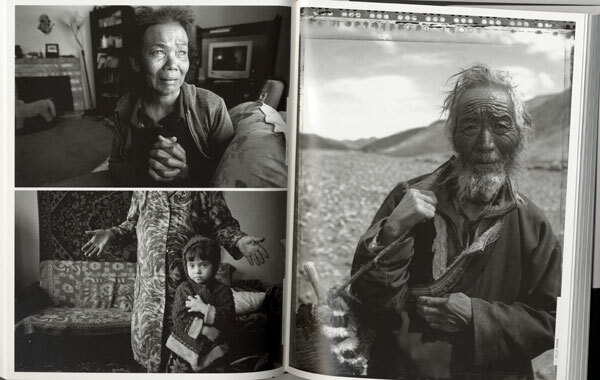 The plate listing tells the story of each image from the 118 contributors including Delano, Sara Terry, Jacob Aue Sobol, Michael Kenna, Ed Kashi, Nina Berman, Eikoh Hosoe, Mark Peterson, Daniel Traub, and Martin Parr, among many others. All texts are in English and Japanese, including writing by Delano, Melanie Light, and Eleanor Clift. In the postscript, Eleanor Clift speaks about the death of her husband with the assistance of this invaluable transitional care. She writes that he was able to pass “with the assurance that his pain would be controlled and that his dying would be treated with reverence and dignity through the gift of hospice.” The proceeds from this book and its moving images and words benefit San Diego Hospice and Institute for Palliative Care and Japan Hospice Palliative Care Foundation. Purchase a copy of The Mercy Project here.